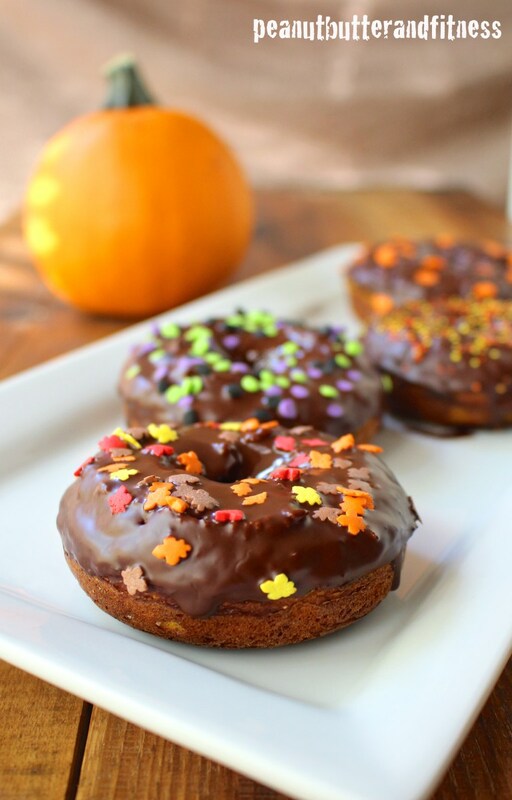 It’s that time of year again when pumpkin recipes are in high demand! While it’s perfectly fine to enjoy a pumpkin based delight during the holidays, if you want to create your own, healthier, lower calorie pumpkin treats then we’re here to help! 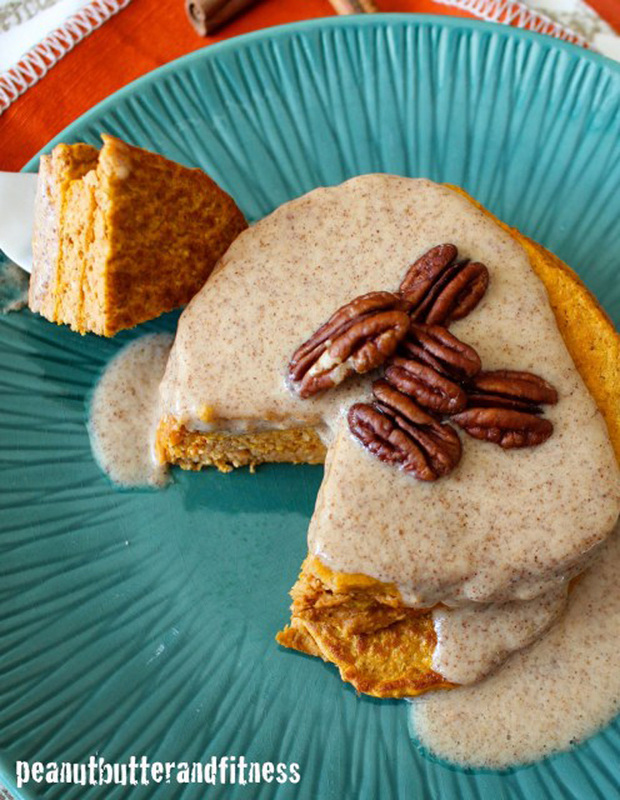 Here are 27 incredible, healthy pumpkin recipes that won’t pile on the pounds. Lower in sugar, fat and higher in protein, you can enjoy these treats throughout the day as part of a balanced diet. Save and share all your favourites to your social media. Enjoy! 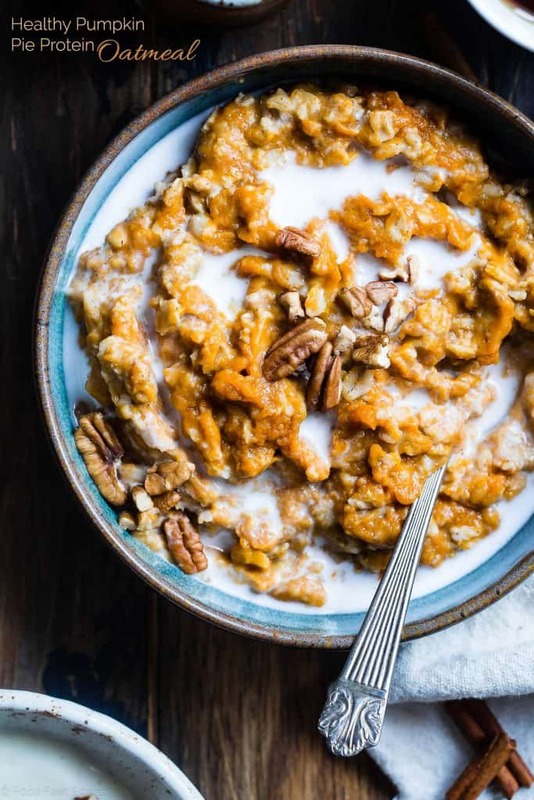 “This quick and easy pumpkin protein oatmeal recipe is ready in 10 minutes and taste like waking up to healthy and gluten free pumpkin pie for breakfast!” Recipe: FoodFaithFitness. 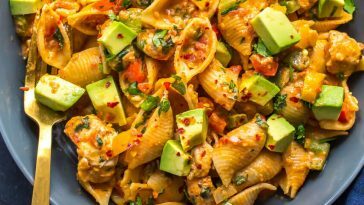 “Pumpkin is a great source of fibre, B vitamins, iron, magnesium, and it’s LOADED with vitamin A… in fact just 100g of pumpkin provides 170% of the daily recommended intake of vitamin A.” Recipe: NutitionInTheKitch. “This is the best easy gluten-free pumpkin protein bars recipe I’ve ever tried. 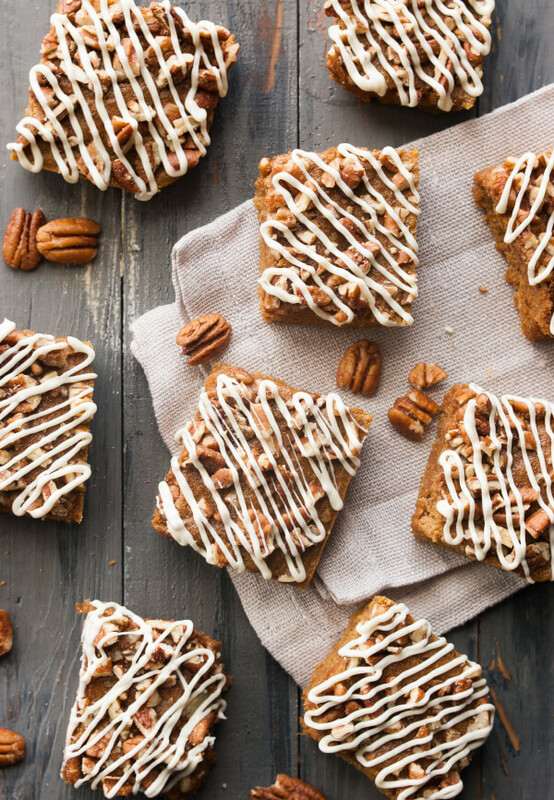 The drizzled white chocolate on top of these bars are the perfect added touch.” Recipe: GlutenFreeDaddy. 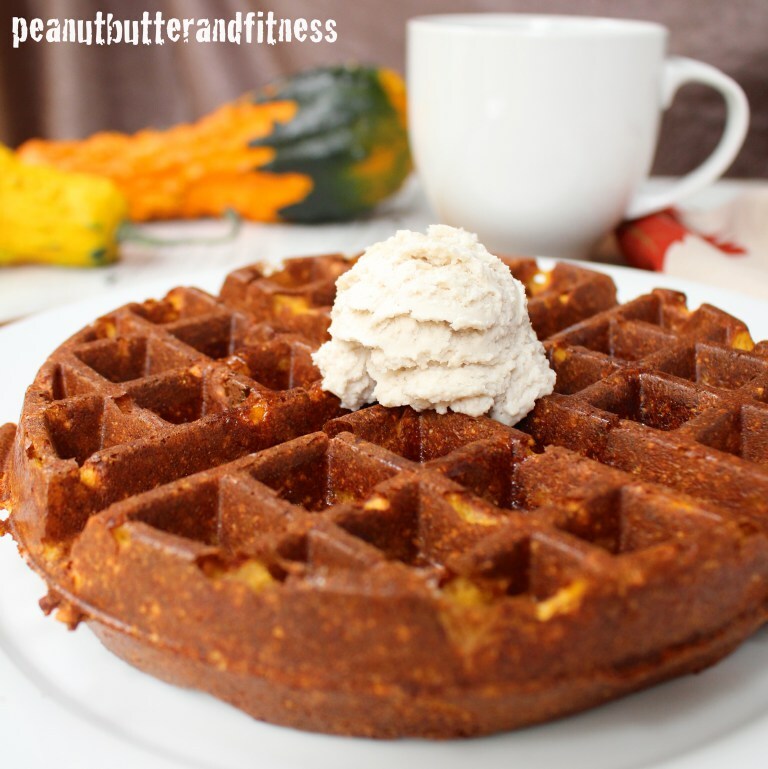 “You can easily make a bunch of these waffles ahead of time and use them for meal prep! Either stick them in an airtight container in the refrigerator and reheat them in the waffle iron, a toaster oven or a wide toaster OR you freeze them for even longer and re-heat them the same way.” Recipe: PeanutButterAndFitness. 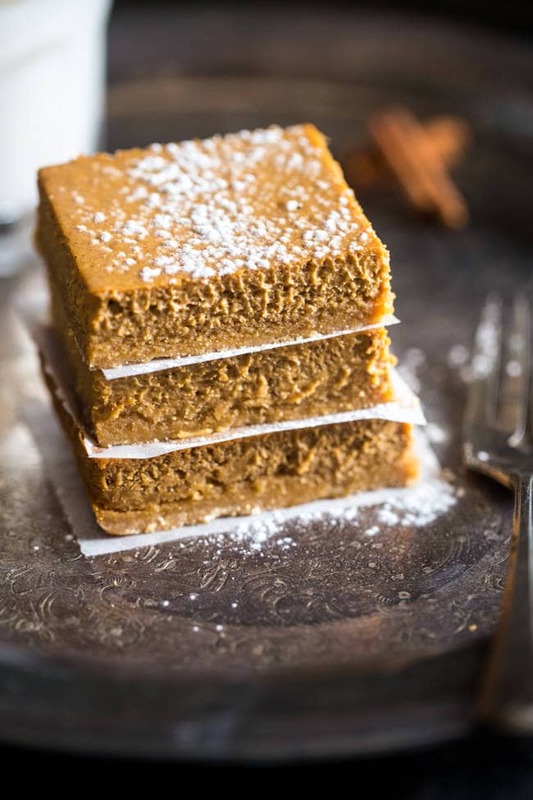 “These pumpkin cheesecake bars are gluten free and so creamy, that you’d never know they’re secretly healthy, naturally sweetened and only 150 calories!” Recipe: FoodFaithFitness. 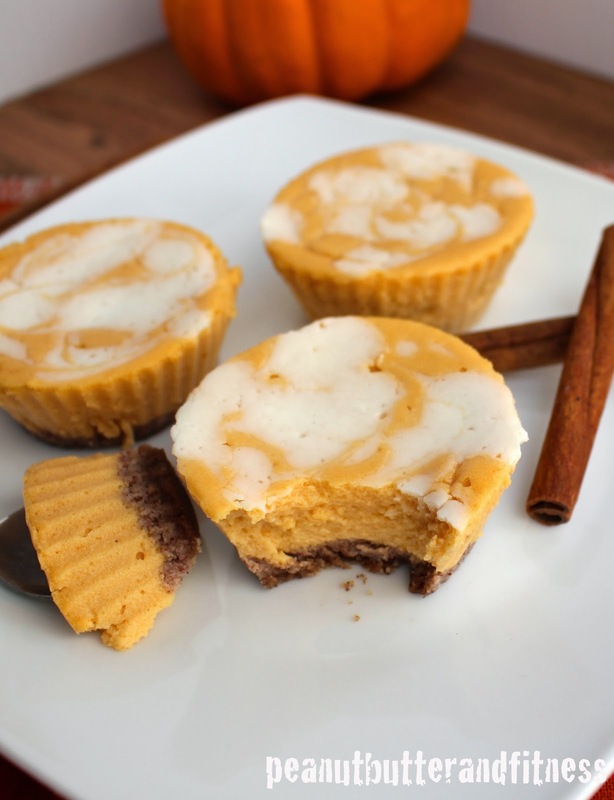 “I whipped up these little pumpkin cheesecakes for the occasion – they’re really easy and totally guilt-free! Only 74 calories per cheesecake with 7 grams of protein and only 2 grams of sugar!” Recipe: PeanutButterAndFitness. “If you like flat flapjack style pancakes, leave out the baking powder. Sometimes I like big fluffy pancakes, sometimes I like the flat ones. My pancake mixture was a little too thick, I should have known to add more almond milk before I plopped it on the skillet” Recipe: PeanutButterAndFitness. “After taking a break for a few months to find ourselves and evaluate our relationship, I’m pleased to report that, thanks to this easy recipe for the Healthiest Pumpkin Oat Protein Pancakes, pumpkin and I are going steady again.” Recipe: KimsCravings. 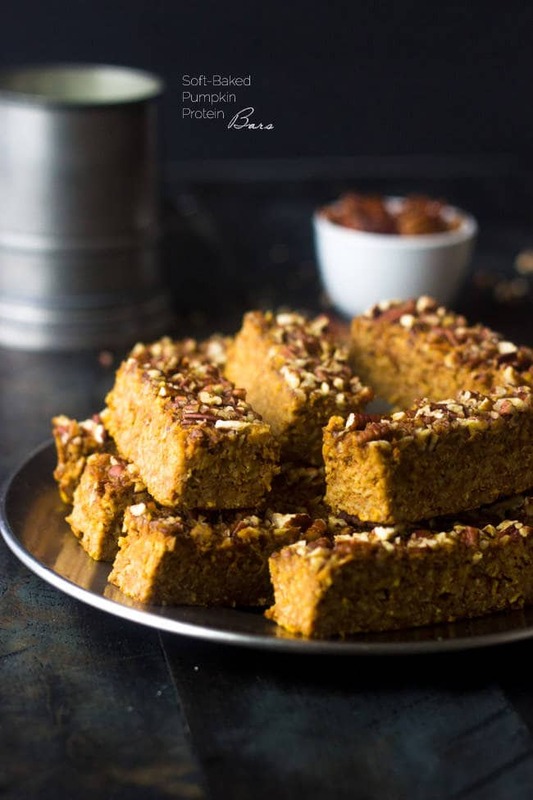 “These Pumpkin Protein Bars taste just like pumpkin pie, but they are easy, healthy and great for on the go breakfasts or snacks!” Recipe: FoodFaithFitness. “Overnight oats are definitely nothing new, I know that – I’ve been down the “OO” road quite a few times (here, here, and here to name a few! 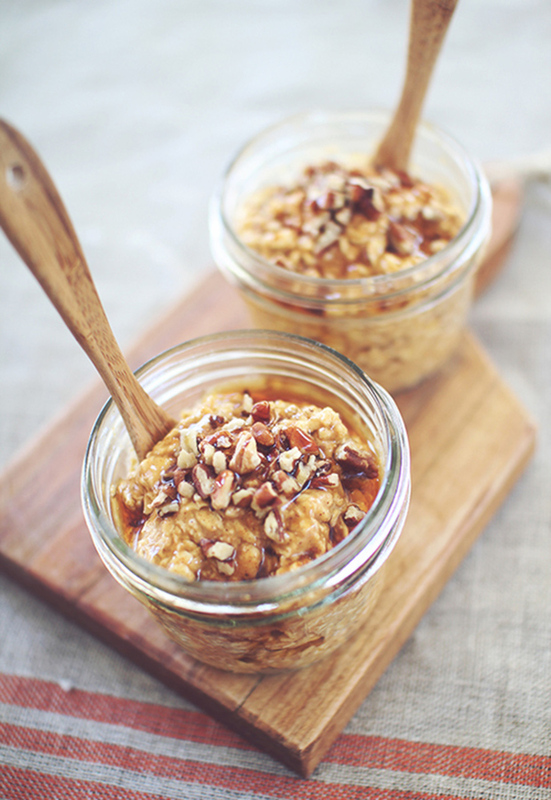 ), but todays recipe adds a twist to the typical overnight oats with one simple ingredient! This particular ingredient adds an element of texture that kicks the whole overnight oats concept up a notch on the awesome scale!” Recipe: NutritionInTheKitch. “This fudge is definitely guilt-free! One whole serving, and trust me, it’s a good filling size, is 166 calories, with 12g of healthy fats, and 6g of protein, thanks to my favorite North Coast Naturals protein powder!” Pumpkin Protein Fudge from NutritionistInTheKitch. 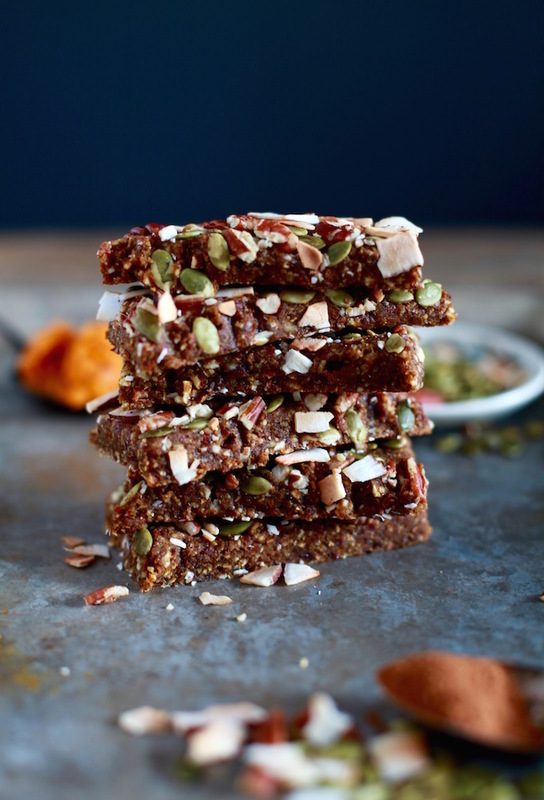 “When I first made these bars, the bar mixture was a tad more moist than I would have liked, so my solution was to add more protein powder and it firmed up the bars perfectly. Hence, the Pumpkin Pie Protein Bar title! 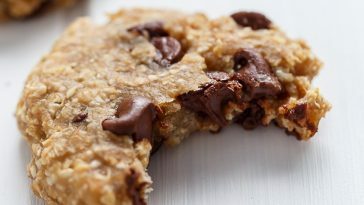 They really pack a protein punch which makes them great for a pre- or post-workout snack!” Recipe: NutritionInTheKitch. “There is no longer any excuse for not eating a delicious and satisfying breakfast no matter how busy your mornings are! 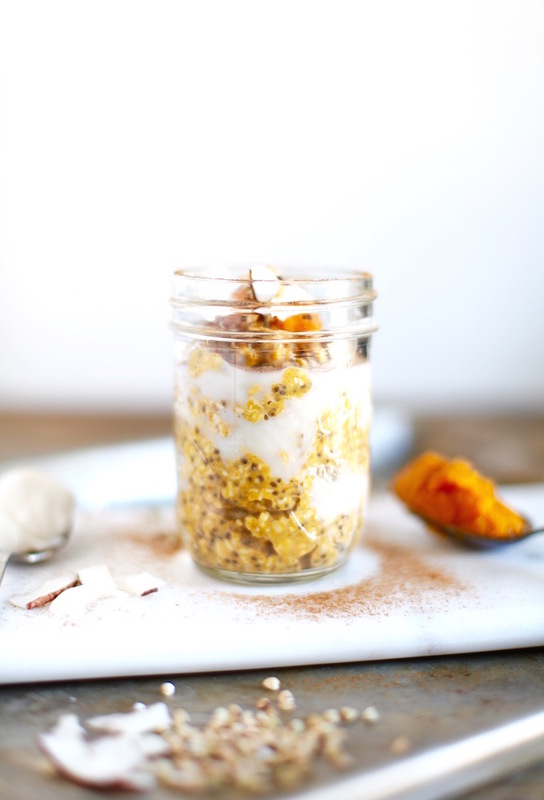 This pumpkin pie overnight oatmeal is guaranteed to spice up the most important meal of the day!” Recipe: DashingDish. 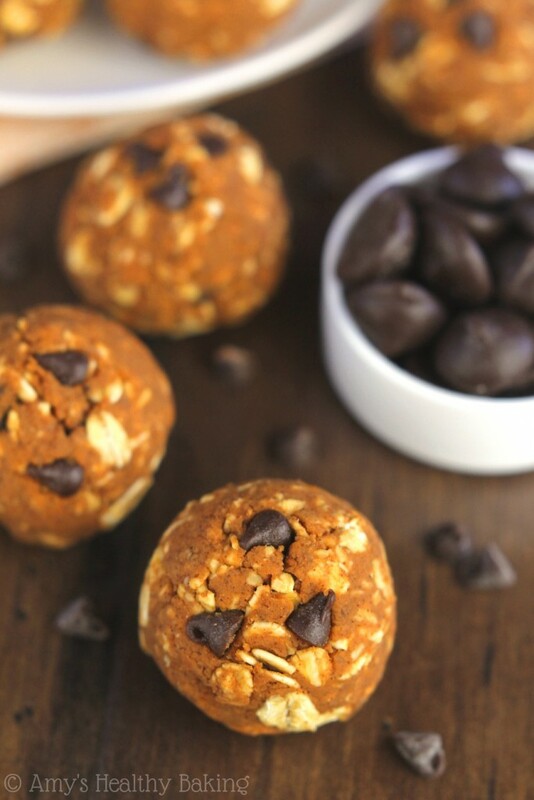 “Protein-packed & a very easy snack. Full of fall flavors & lots of rich chocolate, they taste like a treat—but they’re still healthy!” Recipe: AmysHealthyBaking. “So, I decided that I would put my favorite fall flavors into my favorite ‘cheesecake’ frozen yogurt base, which turned out to be ‘out of this world’ good! Pumpkin cheesecake ice cream that is actually healthy? 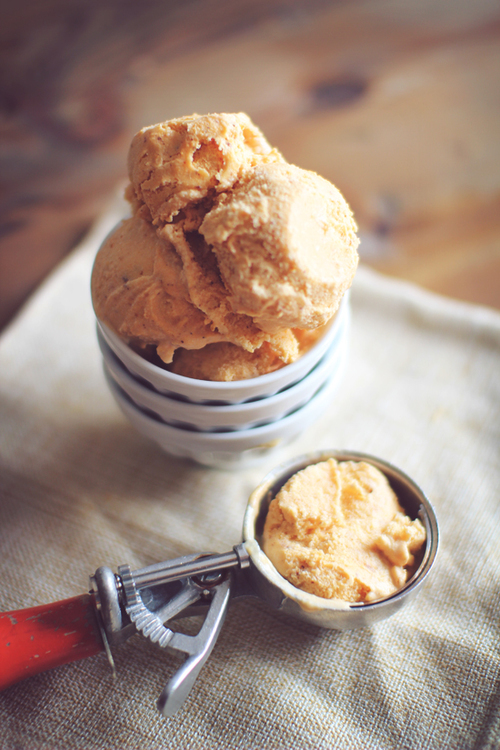 Yes, you heard it here first!” Protein Packed Pumpkin Cheesecake Ice Cream from DashingDish. “Pumpkin pie gets a bad rap because each slice packs tons of heavy cream and sugar. But you can still get that sweet, whipped taste without a serious sugar rush. 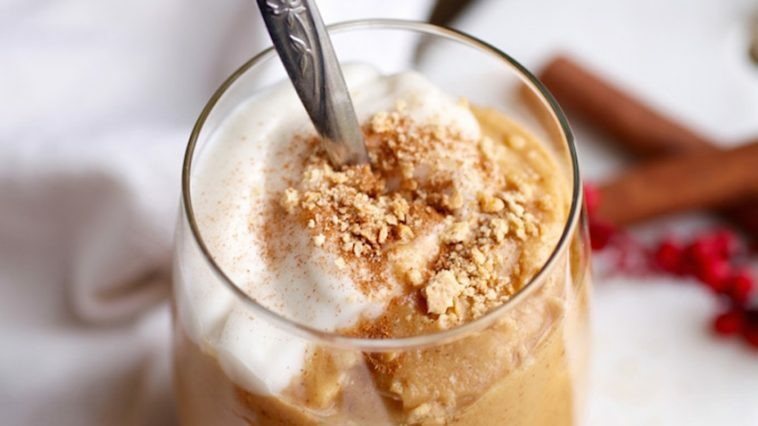 We loaded up our classic vanilla smoothie recipe with lots of pumpkin and spices, since pumpkin is high in fiber, antioxidants and immunity-boosting nutrients like iron and vitamins A and E. One glass of this cool and creamy shake boasts a whopping 27 grams of protein.” Recipe: DailyBurn. 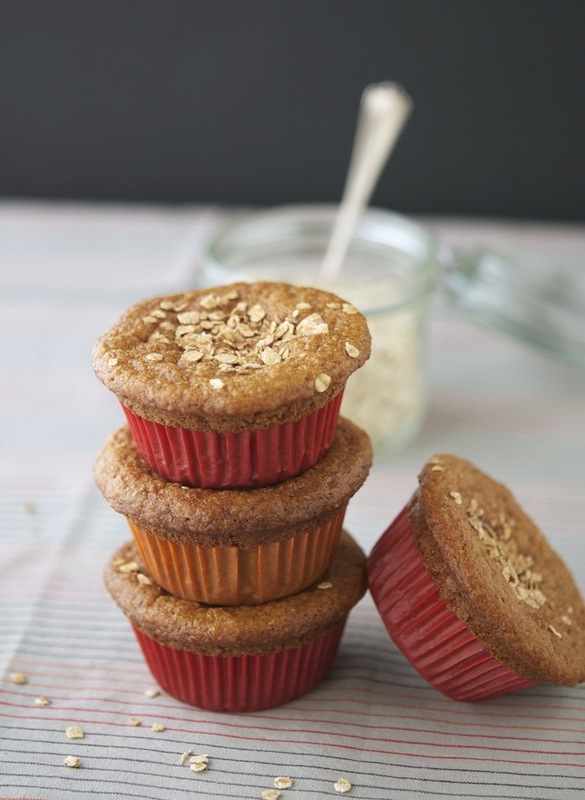 “Making these muffins is a cinch. You can mix by hand which allows to incorporate all the ingredients quickly without overdoing it, a little touch for decorating them and that’s about it. Depending on the sweetness of the pumpkin puree you’re using you can cut on the sugar.” Recipe: TheIronYou. “Making your own granola is easier than you think, and the beauty of doing it yourself is you can customize it to suit your taste plus it’s so much cheaper than buying it in the store. 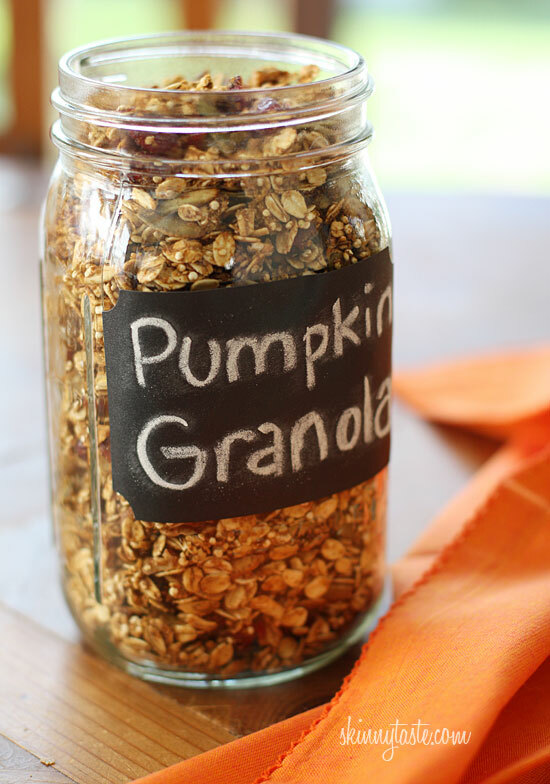 Since pumpkin is so popular this time of year, I thought it would be fun to make a pumpkin version using oats, quinoa, maple, pumpkin spice, cinnamon, pecans, pepitas and dried cranberries.” Skinny Pumpkin Granola from SkinnyTaste. 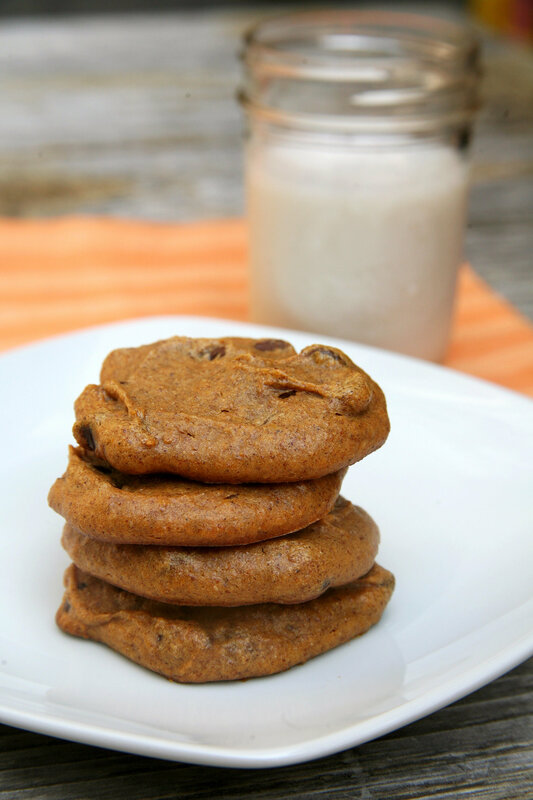 “These vegan pumpkin oatmeal chocolate chip cookies are perfect for Fall and are only 90 calories per cookie.” Pumpkin Oatmeal Chocolate Chip Cookies From FitSugar. “A fall spin on your favorite nut butter, this pumpkin almond butter combines roasted almonds, pumpkin puree and spices to make a delicious spread you’ll want to put on everything!” Packing Procrastination Pumpkin Almond Butter From EatingBirdFood. 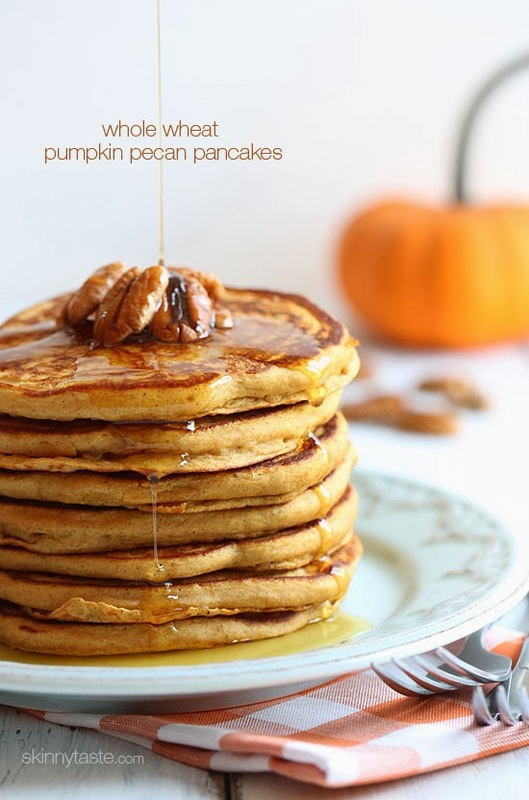 “Whole wheat buttermilk pancakes made with white whole wheat flour, pumpkin puree, pure maple syrup, pumpkin spice and pecans – a perfect lazy Sunday morning breakfast.” Whole Wheat Pumpkin Pecan Pancakes from SkinnyTaste. 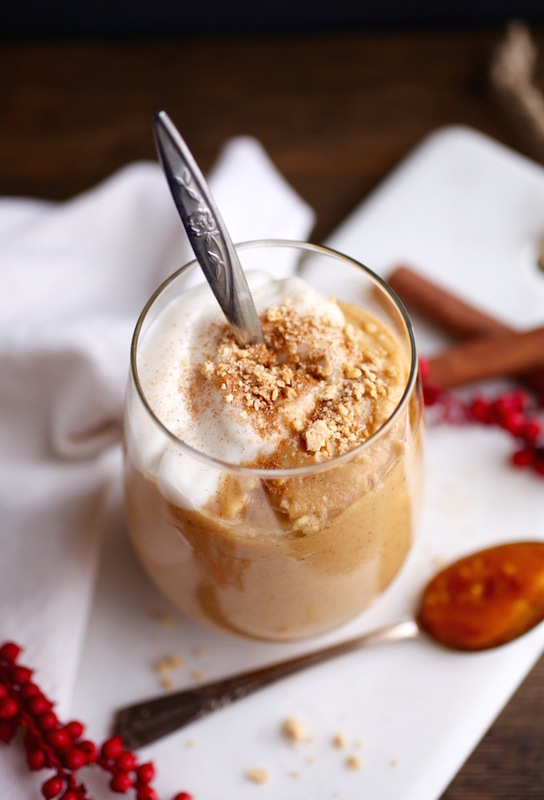 “If you like the thought of a Pumpkin Spice Latte from Starbucks but would rather skip the extra calories and sugar, you are going to love the homemade version I’m featuring today. 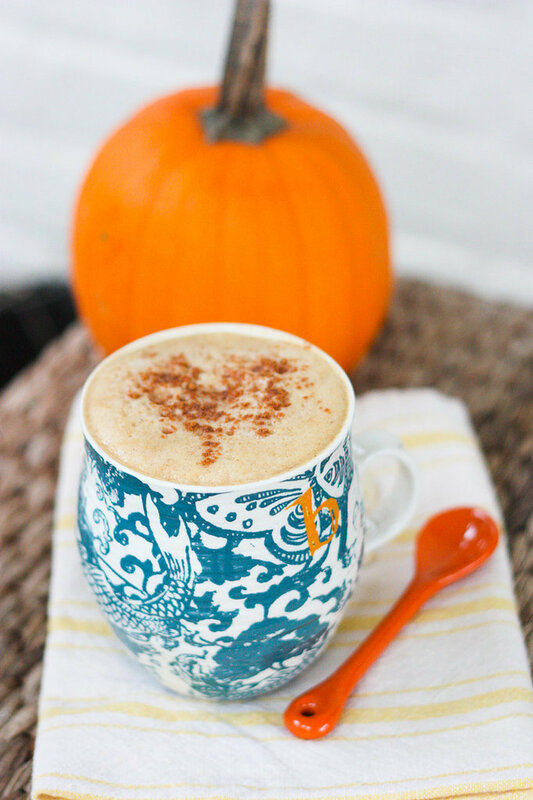 It’s crazy to me that even the smallest size (a tall) non-fat, no whip PSL from Starbucks has 200 calories and 37 grams of sugar!” Cut Calories Starbucks Inspired Pumpkin Spice Latte from Popsugar. “These gluten free pumpkin protein pancakes make perfect freezer meals that you can pull out and rewarm any day of the week!” Recipe: AbbeysKitchen. “While a basic recipe is a nice treat, get creative by adding metabolism-boosting spices to your recipe. 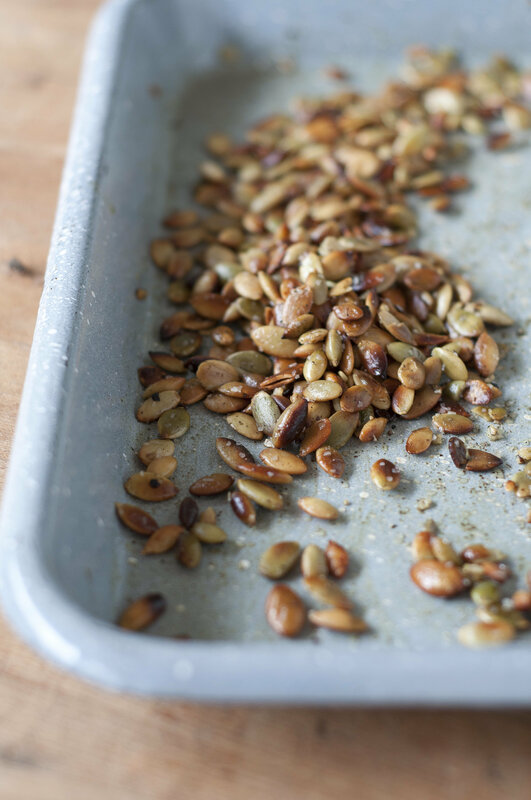 While cinnamon and a little brown sugar make for a tasty treat, throw in a pinch of cayenne for a creative twist and extra heat!” Metabolism-Boosting Spiced Pumpkin Seeds from Fitsugar. “Even if you’ve decided to cut back on dairy, it’s possible to warm up with a creamy bowl of hot soup that doesn’t lay on the cream or calories too heavily. This light pumpkin-coconut bisque will curb your dairy cravings and keep you on track this Autumn.” Paleo Pumpkin Soup from Epicurious. 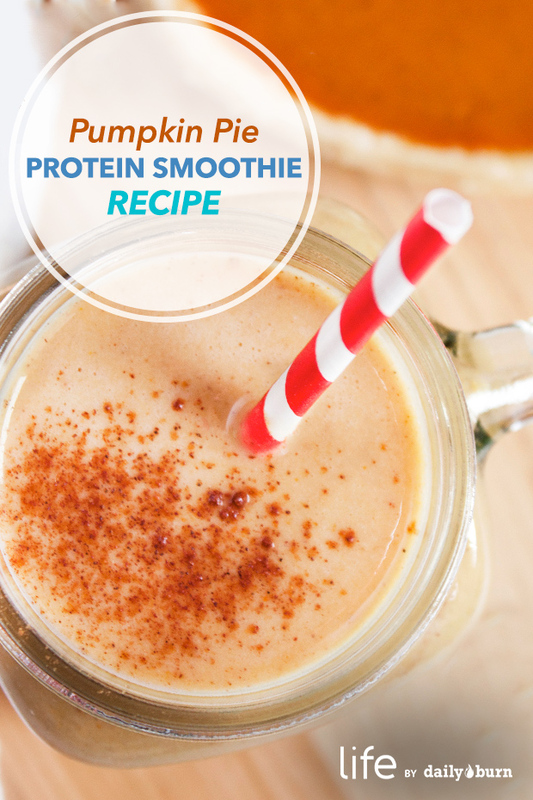 “Love a slice of creamy pumpkin pie but don’t love the calorie amount attached to it? Then grab a can of pumpkin and bake these cookies immediately. Soft, chewy, and under 100 calories, they’re bursting with that spiced pumpkin pie flavour you crave, but for fewer calories and sugar.” Vegan + Gluten Free Low Carb Pumpkin Cookies from Popsugar. Previous article 34 Amazing Weight Loss Workouts For Women That Can Be Done At Home! Next article Rebecca Smith Shows Off Her Transformation After Swapping Cardio For Weights!